Pretty pink and purple fruit notes are sweet and luxurious with firm, ripe tannin structure and awesome balancing freshness. Surprisingly elegant, placid and focused. Really, very, very good and possibly my star second wine in 2017. Drink 2019-2030. 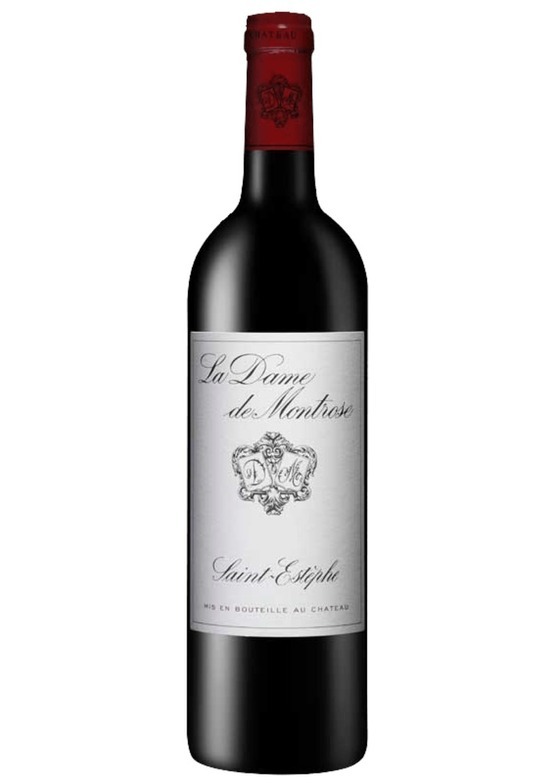 Lisa Perrotti-Brown MW, Wine Advocate (89-91 points) "Composed of 49% Merlot, 43% Cabernet Sauvignon, 4% Cabernet Franc and 4% Petit Verdot, the 2017 La Dame de Montrose is deep garnet-purple colored with a very fragrant nose of violets, lavender and dark chocolate over a core of cassis, Provence herbs and smoked meats. The palate is medium-bodied and very refreshing with ripe, very soft tannins, elegant and refined with a perfumed finish." James Suckling (91-92 points) "A juicy and savory second wine with blackberry, blueberry and wet-earth character. Medium-bodied, tight and silky. Fresh finish."